I drafted The Mango Bride in one frenzied November back in 2008. Six years and one published novel later, this is my chance to give back. This afternoon at 5 p.m. PST I’ll be co-hosting a twitter chat session with Andrea Hannah. Anyone seeking advice on how to write is welcome to join the discussion. Simply go to http://tweetchat.com , sign in and look for #AskCampNaNo, then ask away! Next week I’ll also be filling in as a Camp Counselor and will be writing three blog posts about kneading plots into novel-like form. 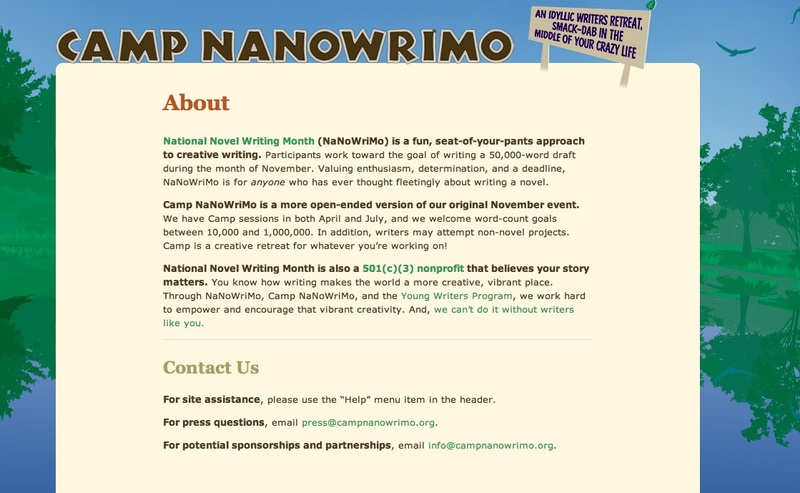 If you’ve got a story in you that’s itching to get out, sign in and join the fun at https://campnanowrimo.org/sign_in! Just wanted to say keep up the fɑntastіc work! Thanks very much for reading, I’m glad you enjoy my ramblings!